Hello iPad Minis and goodbye iPad 2s. The new iPad Mini’s have recently been distributed to students these past two weeks. The switch from iPad 2’s to iPad Minis may have seen very abrupt but there was a lot of time and decisions in the best interest for students. “iPad Minis are lighter, hold more memory and are less bulkier.” Mansfield Summit Technician James Deloney said. Speaking of apple products, the iOS 9 update that was recently released by Apple has been banned from being downloaded on Mansfield ISD’s Wifi. 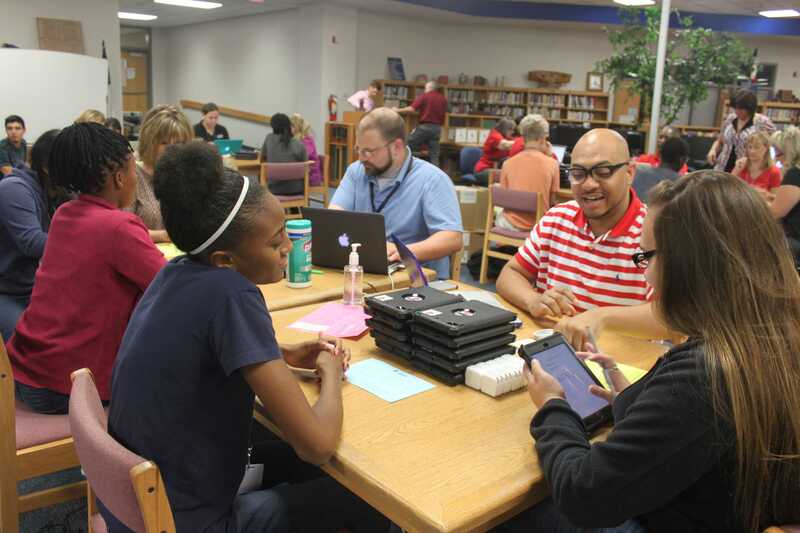 “When a lot of students use the internet all at one period of time, the connection will slow down.” Deloney said. Rumor has it that these iPad 2’s that we’re exchanging for iPad Mini’s are being passed down to our younger students in Mansfield. However, this isn’t accurate because high schools of Mansfield ISD were the last to receive these iPad Mini’s. “The iPad 2’s that we’re taking back will be re-sold to the company we received them from.” Deloney said. In addition to this exchange, students who have been polled among our school agree that they are more inclined to use the iPad Mini’s rather than the iPad 2. Some students think that the iPad Mini’s was a good investment because of it’s technical perks. “They’re so much faster than the iPad’s we had in the past.” Junior Brian Thai said. With these technological advancements, it has seen to be very beneficial to many so far. The students are more inclined to bring their iPads to school. Also with this change, students have less of an excuse to not turn in virtual assignments; in which is a possibility that it could be beneficial to teachers as well.